We have been on a small, moveable home kick in the past 4-5 years. 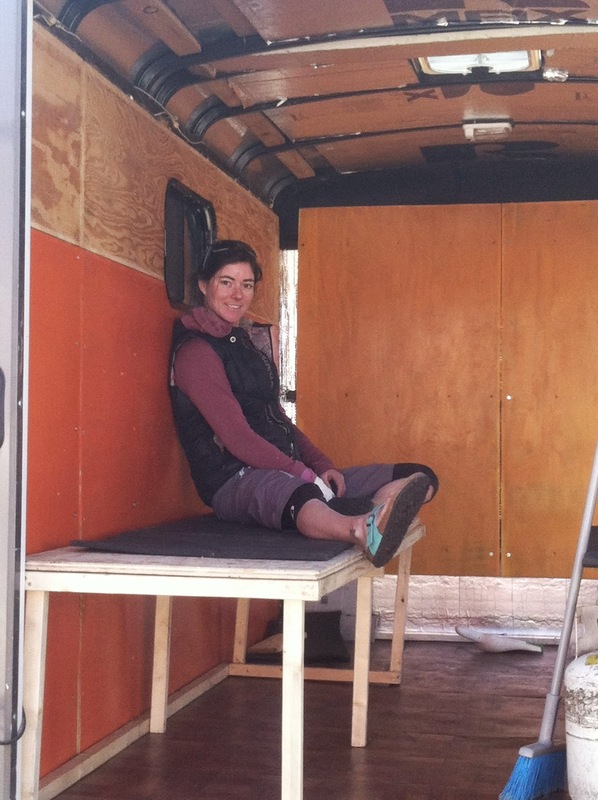 It all started with a 8'x12' cargo trailer that we insulated and built some beds in. Towards the end of winter in Leadville, CO we started living in it, and although it was cold and dark inside, we caught a type of bug. I think this might be called living the dream, but I'm not sure. This bug led us to a 1964 16' Airstream that we lived in during the next two summers until the floor fell through at the doorway. Just in time, a friend in Austin, TX had an Argosy in his Father-in-law's driveway that needed to be gotten rid of. He gave us deal we couldn't refuse; "It's free if you come down here and take it away". The wood burning stove went in this March. With the Argosy, we pretty much stripped it bare and started putting it together from scratch. We started living in it this past March while it was still cold and snowy in Leadville. The addition of a wood burning stove was key to our survival. There is no plumbing at this point, but the electricity works and a refrigerator is one of our few modern conveniences. Still a work in progress, but wonderfully comfortable. 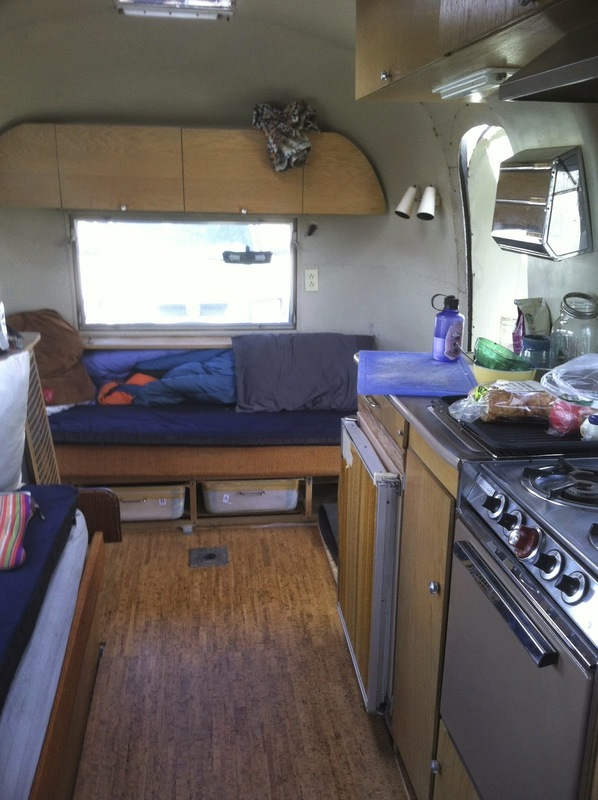 For now we are living full time in the Argosy and repairing the floor in the Airstream. The future plan is to live in the Argosy as much as possible during the year and use the Airstream for traveling.